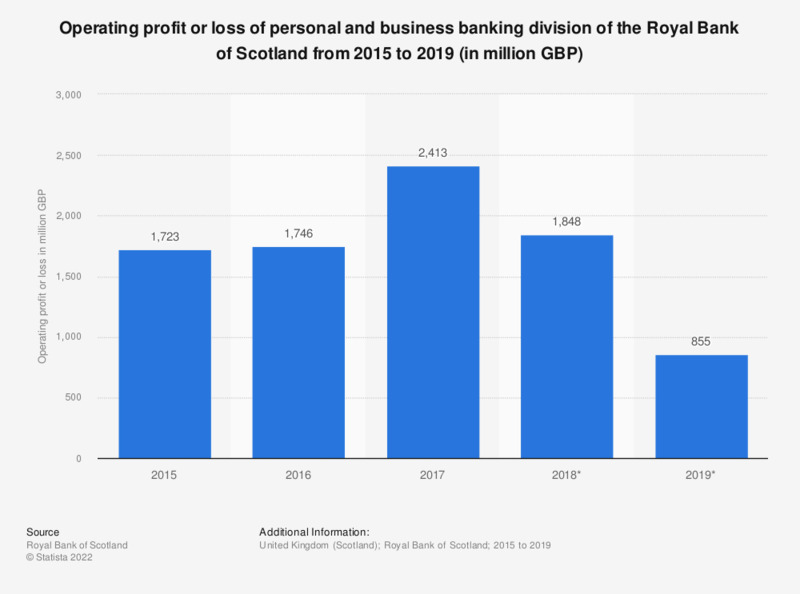 This statistic illustrates the development of operating profit or loss of the personal and business banking division of the Royal Bank of Scotland (RBS) group from 2015 to 2018, in million British pounds. During this period, the operating profit has been increasing year-by-year, amounting to approximately 2.4 billion British pounds in 2018, an increase of roughly 42 percent compared to 2015. * Figures were updated based on latest report. Statistics on "Leading banks in the United Kingdom (UK)"